As forms of private self-regulation, multi-stakeholder initiatives (MSIs) have emerged as an important empirical phenomenon in global governance processes. At the same time, MSIs are also theoretically intriguing because of their inherent double nature. On the one hand, MSIs spell out CSR standards that define norms for corporate behavior. On the other hand, MSIs are also the result of corporate and stakeholder behavior. We combine the perspectives of institutional theory and club theory to conceptualize this double nature of MSIs. Based on a stage model that looks at the interplay of actor and institutional dynamics, we generate insights into why actors join a voluntary MSI, how the various motivations and intentions of the actors influence the standard development, and how these as well as the MSI design are subsequently influenced by both external (institutional) and internal (club) dynamics. At the 2002 World Summit of Sustainable Development in Johannesburg (South Africa), UK Prime Minister Tony Blair initiated the Extractive Industry Transparency Initiative (EITI). Its main purpose is to tackle the issue of payments to governments in the extractive industries that is mining, oil, and gas. In these industries, companies usually pay local governments to obtain mining rights. In many developing nations, however, this money often vanishes within governments and is not used for national requirements such as education or health. Against this background, EITI uses a mechanism in which countries openly declare what amounts of royalties and other payments they received. Through these mechanisms, local and global civil society actors have a means to ask how the respective amounts have been spent. Therefore, transparency about the amounts and its use is increased. The United Nations Global Compact (UNGC) was brought forward in 1999 by then UN general secretary Kofi-Annan. The initiative was officially launched in 2000. Originally, the UNGC started with 9 principles for responsible business conduct with regard to human rights, labor standards, and the environment. Later, anti-corruption was included as the tenth principle. Companies can join the UNGC and pledge their compliance to these ten principals. Members are then expected to publicly report on their progress. If they fail to do that, the UNGC delists these non-compliant members for a year after which they can join again. The Forest Stewardship Council (FSC) is a certification scheme developed by the Worldwide Fund for Nature (WWF) and companies that use or trade timber. Together, these actors discussed how the world’s forest could be used as resources for timber products while at the same time protecting them as key elements of the world’s ecosystem. The first FSC meetings took place in 1990 while the first certificates where issued in 1993. Companies can only become FSC members if they fully comply with the principles of the MSI. Only after the certification process is completed, companies may refer to themselves as FSC members. As the certification frequently needs renewal, companies can loose their membership if they fail to comply with the required principles during recertification. Brueckner, J. K., & Lee, K. (1989). Club theory with a peer-group effect. Regional Science and Urban Economics, 19, 399–420. doi: 10.1016/0166-0462(89)90013-6. EITI (2013). EITI. Retrieved from http://eiti.org/eiti. Faysse, N. (2006). Troubles on the way: An analysis of the challenges faced by multi-stakeholder platforms. Natural Resources Forum, 30(3), 219–229. doi: 10.1111/j.1477-8947.2006.00112.x. FSC (2014). Out history. Retrieved June 03, 2014, from https://ic.fsc.org/our-history.17.htm. Mena, S., & Palazzo, G. (2012). Input and Output Legitimacy of Multi-Stakeholder Initiatives. Business Ethics Quarterly, 22(3), 527–556. Retrieved from http://www.pdcnet.org/oom/service?url_ver=Z39.88-2004&rft_val_fmt=&rft.imuse_id=beq_2012_0022_0003_0527_0556&svc_id=info:www.pdcnet.org/collection. Nolan, J. (2013). The Corporate Responsibility to Respect Human Rights: Soft Law or Not Law (No. working paper 73). Retrieved from http://law.bepress.com/unswwps-flrps13/73. Pattberg, P. (2005). What role for private rule-making in global environmental governance? Analysing the Forest Stewardship Council (FSC). International Environmental Agreements, 5(2), 175–189. doi: 10.1007/s10784-005-0951-y. Prakash, A., & Gugerty, M. K. (2010). Trust but verify? Voluntary regulation programs in the nonprofit sector. Regulation & Governance. doi: 10.1111/j.1748-5991.2009.01067.x. Roloff, J. (2008a). A life cycle model of multi-stakeholder networks. 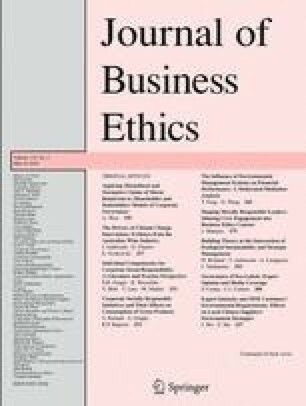 Business Ethics: A European Review, 17(3), 311–325. doi: 10.1111/j.1467-8608.2008.00537.x. Vogel, D. (2008). Private Global Business Regulation. Annual Review of Political Science, 11(1), 261–282. Retrieved from http://www.annualreviews.org/doi/abs/10.1146/annurev.polisci.11.053106.141706.